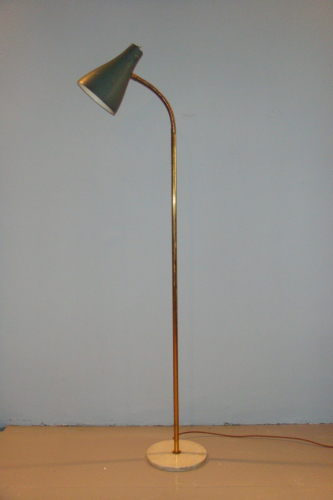 An simple but elegant floor lamp, the head part adjustable supported on gilt metal and white and grey figured marble base. Rewired and certified for UK use. Italian 1950`s. Excellent original condition with slight paint scuffs to green shade.